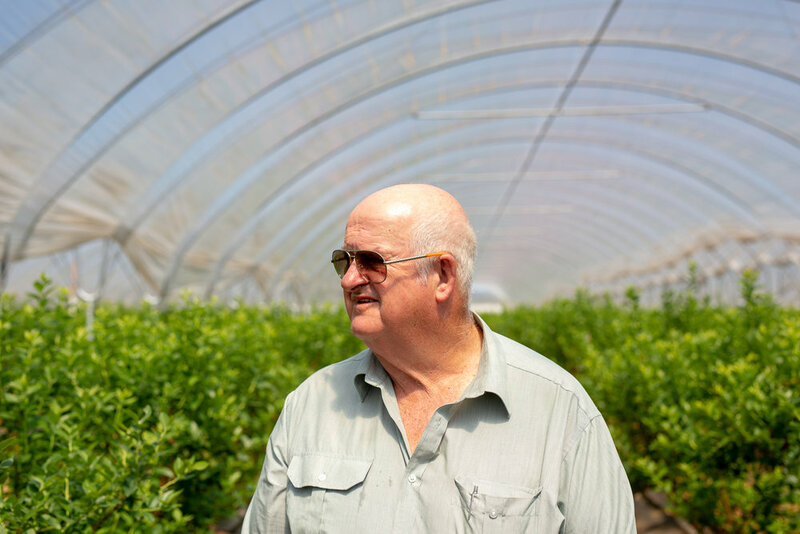 Considered a world leading expert, Ridley Bell has been actively involved in the development of the Australian blueberry industry since its humble beginning in 1975. His early work has involved the development of several Northern Highbush varieties. Named 2010 NSW Farmer of the Year, Ridley continues his considerable involvement in the development of new and exciting varieties of berries (both Northern and Southern Highbush), including the world renowned variety, Eureka. New varieties are released to commercial growers under license.